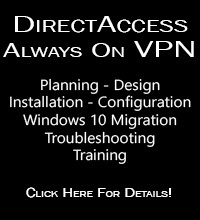 New Pluralsight Windows Server 2012 R2 DirectAccess, VPN, and WAP Video Training Course | Richard M. Hicks Consulting, Inc.
I’m very excited to announce that my latest video training course is now available on Pluralsight! Recently I had the opportunity record a “Play-by-Play” session entitled Secure Remote Access with Windows Server 2012 R2. In this course I cover all aspects of the Unified Remote Access role in Windows Server 2012 R2 including DirectAccess, client-based remote access VPN, site-to-site VPN, and the Web Application Proxy (WAP). This training course differs from some of the other DirectAccess video training content I’ve developed in the past. This course is much less formal, and takes a casual, conversational approach to delivering the content. Many scenarios are presented and discussed, and of course there is plenty of practical demonstration as well. I think you’ll really like this unique format. Pluralsight video training is available as a monthly subscription. If you don’t already have a Pluralsight account, you can sign up immediately and get a 10-day free trial. 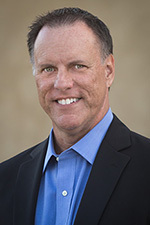 In addition to viewing my new course, be sure to browse their amazing video training course catalog. The amount and quality of content they have is astounding. 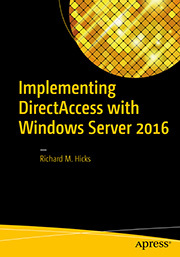 You’ll find my DirectAccess with Windows Server 2012 R2 course there, along with many others. I’m confident you’ll find the service a tremendous value. Get started now! Great videos on the site. I have just watched them.